Kids Nights: Mondays & Wednesdays 5.30-6.15pm Ages 8-13, bring them along. Wednesdays 12.45 pm or Saturdays 12.45 pm. Casual dress. Children's Hip Hop class for all ages. Bought to you by Marlborough Dance Academy. Beginners Line Dance class at the Anglican Church Hall every Tuesday morning from 10.00am. $5 each, everyone welcome for exercise, fun and laughter. ​Want to keep fit but don’t like the gym? Want to have fun at the same time? Come and give Scottish Dancing a go. New members are welcome any time, no partner required. Wednesdays, 7.30 pm at Picton Little Theatre. Arapawa Boxing club in Picton is running fitness classes on Monday and Wednesday evening at 6.30-7.30pm at the Scout Hall on Market Street. Come join the club for a fun way to get fit and strong!!! Alternate sessions available for those who want a stronger element of boxing rather than a conditioning class. Meet new friends, have fun and burn off energy. Our experienced trainer will lead children through fun filled activities and games whilst education them on the importance of team work and the benefits of exercise. $4.00 pp or $35 for 10 concessions. ​HIIT classes have started here at the Port Marlborough Pavilion at Endeavour Park! Wednesday nights 6.30 pm and Friday mornings at 6.00 am. Wednesday classes $10 casually or $80 for ten classes. Friday classes $35 for seven sessions. Contact Fleur for more information. ​Membership costs $25 per month with 24/7 access. 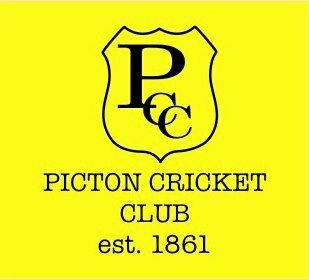 Membership available from Picton Sportsworld, High Street, Picton. ​Start your day the right way. Come along, have some fun and set yourself up for the day with a structured exercise class designed to make you stronger, fitter and more aware of what you are capable of. Open to all fitness levels and ages. Every Tuesday and Thursday morning, Endeavour Park Front field, 6.00 - 7.00 am, $10.00 to attend casually. Concession cards available. Waikawa Bay School owns and maintains an outdoor fitness circuit on their top field. The public are free to use the facilities anytime outside of school hours. Learn a defensive martial art. Adults classes 6pm Tuesdays and 6pm Thursdays (beginners welcome, first lesson free). Children’s classes 5.00pm Tuesdays (term time only). Rober Gemmel Martial Arts are a strong and dedicated group of Martial Arts enthusiasts lead by pioneer and Internationally recognised Grand Master Robert Gemmell. All ages and abilities welcome. ​Tuesday mornings at the Port Marlborough Pavilion from 10.00am till 11.00am. Instructor: Vivien Coutts. ​​Juniors: Mondays 3.10 – 5.00 pm for younger students or learners, 5.00 – 6.30 pm for older students, $30 for around two terms without racquet or $20 with own racquet. Adults: Tuesdays 7.00 – 9.00 pm for adults, racquets available, free coaching provided if required, cater for beginners to more experienced, cost $2 per evening. ​​Sundays and Tuesdays 10.00 am till noon, adults only, $3 per session, tea and coffee supplied. You are welcome to bring your own lunch. New members are welcome to join for a social play. ​​Adult social tennis: Wednesdays 9.30 - 11.30 am (begins 17th October 2018) and Saturdays 2.00 - 5.00 pm (begins 20th October 2018). President grade tennis: Tuesdays 6.00pm. ​​Adults only, and great for seniors for fitness and fun. All levels welcome. Assistance for new players. Wear suitable footwear. Every Thursday from 10.00 am till noon. Bats available for use and morning tea provided. $3 entry. ​​Coaching for children, Dublin Street courts. 4pm to 5pm. ​​A gentle and fun exercise class for seniors. Wednesdays from 1.30pm, $2 entry. Instructed by registered nurse Kathy Donaldson, come and join our seated balance and exercise class. Classes include gentle stretch and strength exercises to music, designed to help increase flexibility, balance and circulation. Come and meet new people and stay for cuppa afterwards. ​​Age Concern Marlborough is now running regular Steady As You Go classes in Picton. Theses are an ACC-approved falls prevention class that works by improving strength and balance. Every Thursday from 1.30pm till 2.30pm at Marina Cove Club. To register contact Catherine Donnelly (Community Welfare Officer), details below. ​An informal walking group that meets every Monday at 9.30am at the Picton RSA car park. Walks take place around areas of Picton and out of town walks. Casual walkers are welcome to join in. Blenheim Masters Swimmers club regularly do sea swims either in Picton Harbour or Waikawa Bay (depending on the weather at the time as to where we go). The season runs from late September/early October to March the following year. The group usually swim on meet at the Picton Yacht club area and swim out along the shore, distance depends on the individual. Some do 3.4km out and back, others into Bobs Bay and back (about 2.5km), depends how you feel! There is on-water support by kayakers. Sometimes a small group will swim on Sunday afternoons as well, and over the summer break (Dec and Jan) a group will swim on Thursday evenings. These are not official events and it is up to individuals whether they feel comfortable or not doing these. The Queen Charlotte Yacht Club sails each Saturday during the summer season (September - April) on the waters of Picton Harbour and/or in the Queen Charlotte Sound. The Club also runs Learn to Sail Courses and regularly runs Regional and National Regattas. Address: Shelley Beach, Picton or PO Box 47, Picton. The Waikawa Boating Club is located in the heart of the Waikawa Marina right on the waters edge and provides an ideal gateway to exceptional cruising grounds of the stunningly beautiful Marlborough Sounds. Members enjoy the use of over 80 moorings located around the best anchorages throughout Queen Charlotte and Pelorus Sound and D”Urville Island. Tuesday and Wednesday mornings at 9.15 am Brenda teaches Hatha - an intermediate to advance class but there are modifications for beginners. $10 per session. Yoga classes in the Yurt open for all levels, located in the beautiful native bushland of the Marlborough Sounds close to SH1 between Blenheim and Picton. Monday Mornings 9.30 - 10.30 am.